Gardeners, rejoice—fall is here, and with it comes the best window of time to plant! Most importantly, although temperatures are slowly dropping, the root system of plants is still very active. As long as the soil temperature is 50 degrees, those roots are still growing. 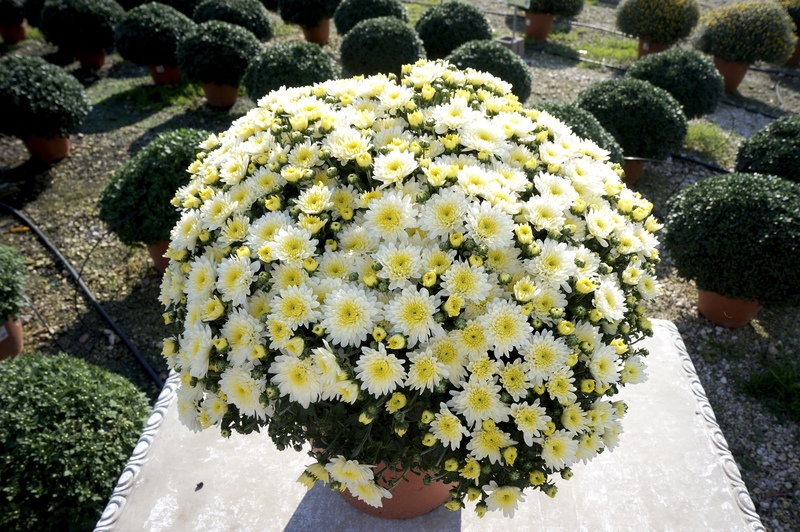 This means that a plant will continue to grow throughout the fall and winter months. There’s lots going on underground, even though we can’t see it! Fast forward to spring, when these plants (proactively planted by you) will boast a stronger, larger root system. In other words, an extremely healthy and beautiful plant. Also worth mentioning is fall mulching. Yes, you need to take time to do this when planting. When temperatures drop significantly in the winter, the mulch will keep your roots protected from the freezes. Food is also being stored, so when spring hits, your plants will have a nice supply of nutrition to burst forth. 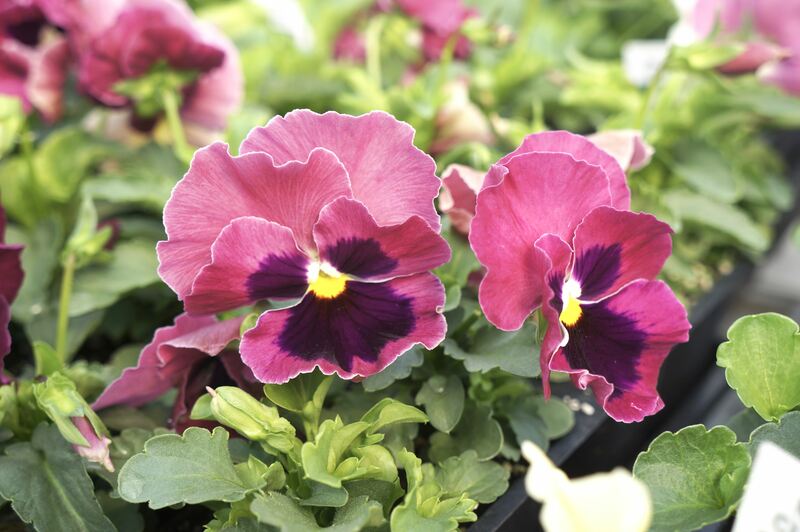 Pansies and violas are a great cool season annual to plant in the fall. Water—still very important during the fall season and throughout. Given the recent erratic weather patterns, we experience unexpected dry periods, despite cool temperatures. A reliable test is to stick your finger down in the dirt, up to your second knuckle. Soil dry? Go ahead and water. And, let’s face it, gardening in the fall is so much more enjoyable than during the heat of the summer! 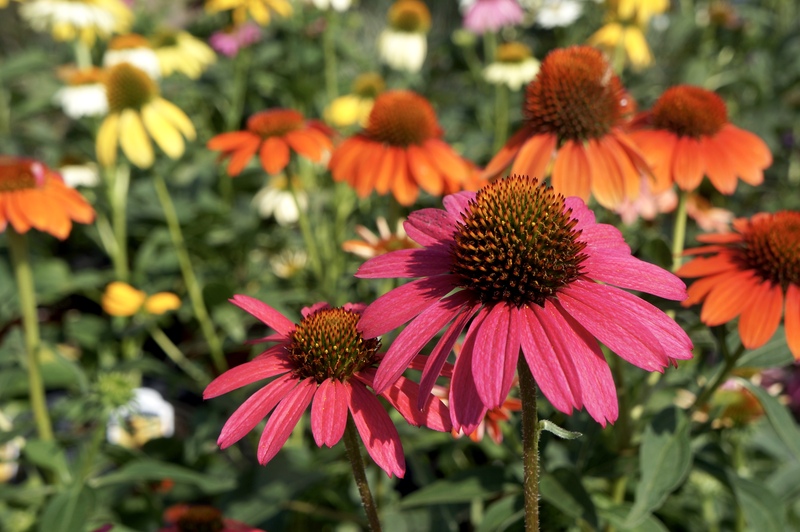 Plant perennials (like this echinacea) in the fall, and they will pop up healthy in the spring. Good luck in the garden, and come see us at Westwood Gardens for answers to all your fall gardening questions, and to select plants for fall planting!